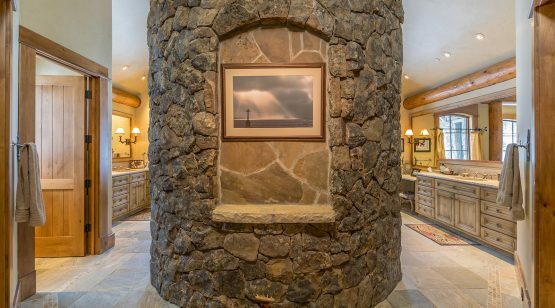 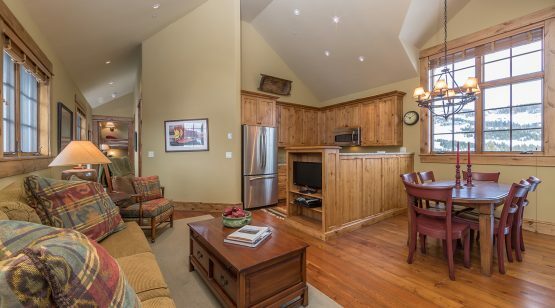 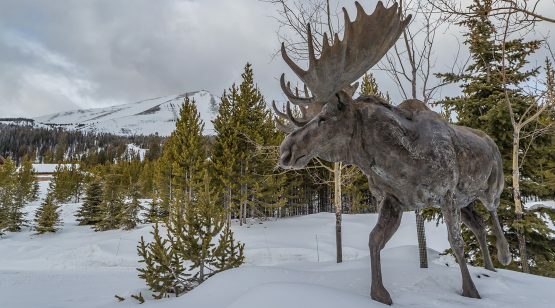 Situated beneath the impressive stature of Lone Peak, Moose Haven 320 provides a setting so incredible you’ll ‘feel’ the outdoors whether you’re inside or out. 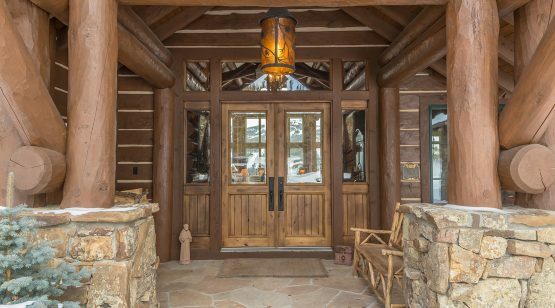 Moose Haven’s rustic interior is enhanced by hand-scraped walnut floors and slate floor inlays in both the entry and great rooms, with custom chandeliers and hand-forged branch stair pickets add delicate interest. 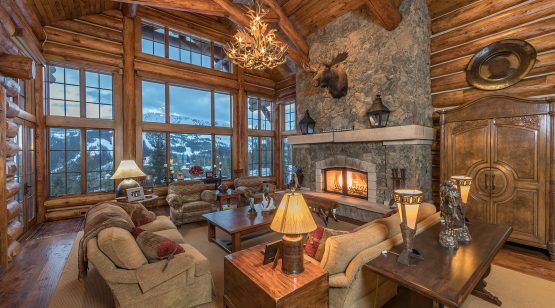 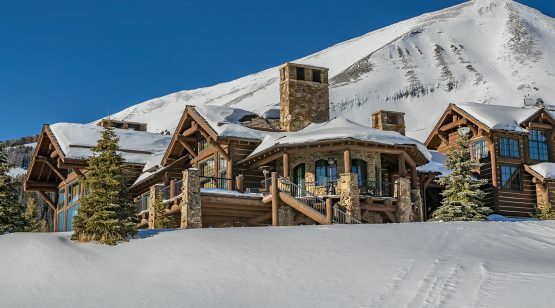 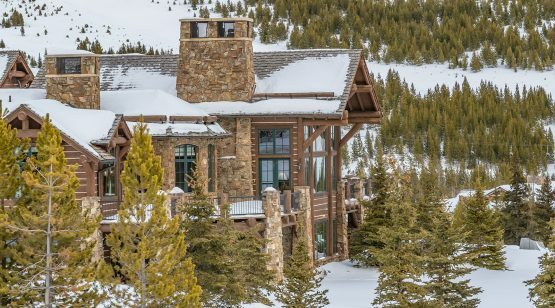 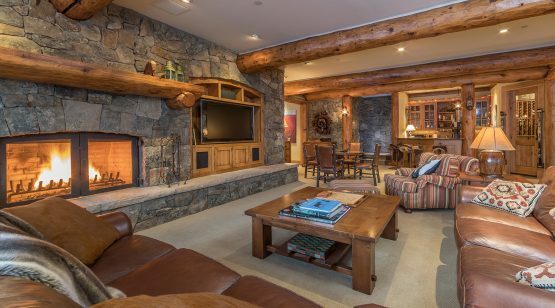 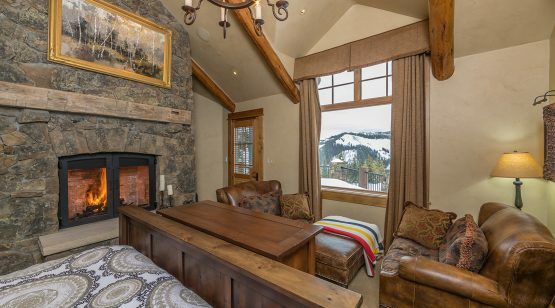 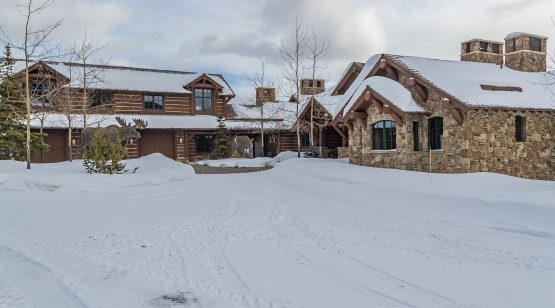 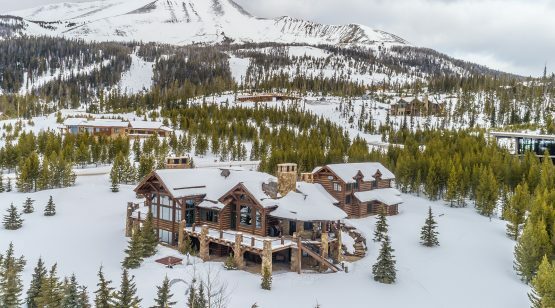 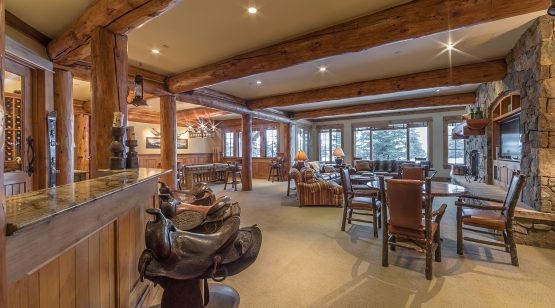 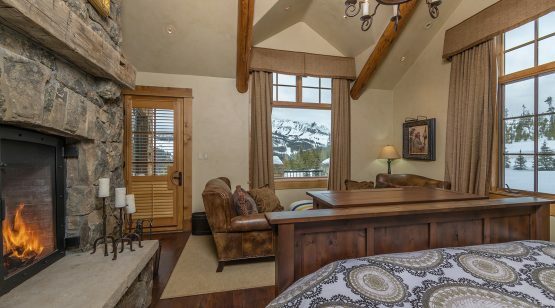 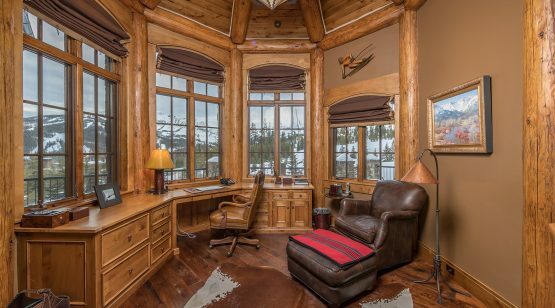 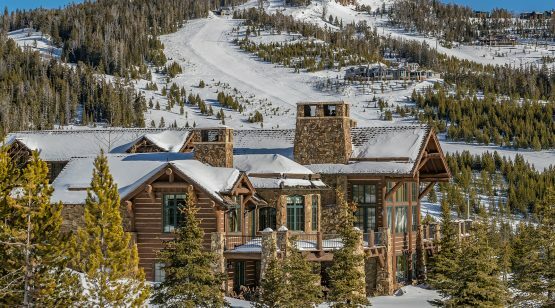 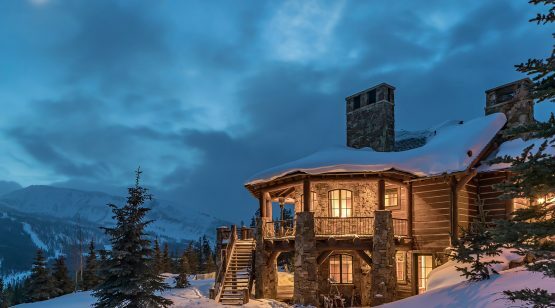 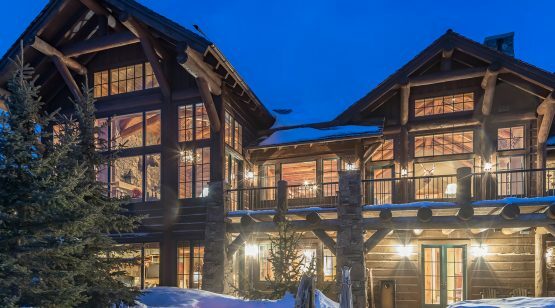 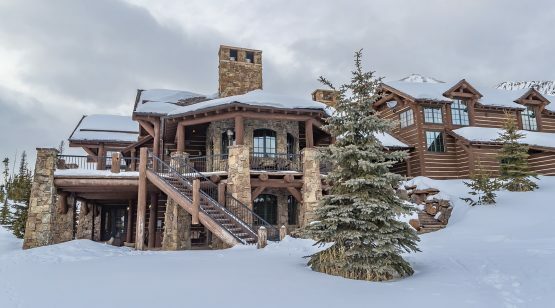 Large windows in the great room provide captivating views to Pioneer Mountain, where you can gaze at the miles of Private Powder available for you to ski each day. 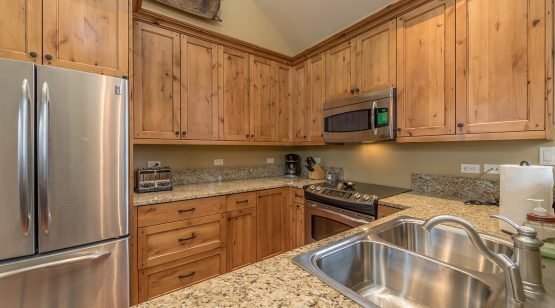 The large kitchen features Wolf appliances, double ovens and double dishwashers. 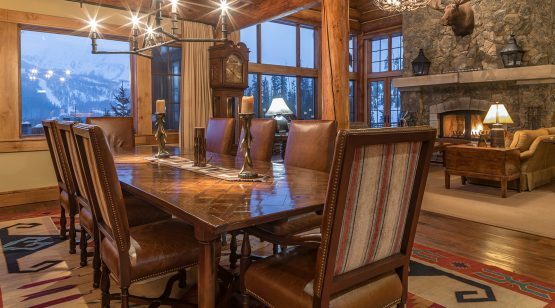 The dining area is designed to service 16 people – allowing plenty of space for you and your guests to enjoy home-cooked meals. 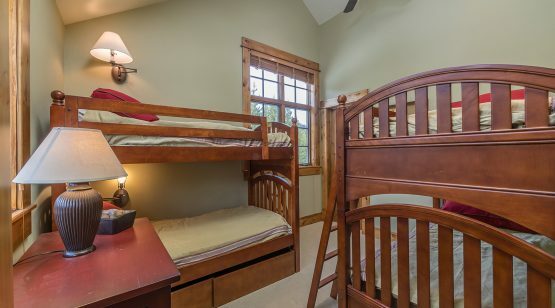 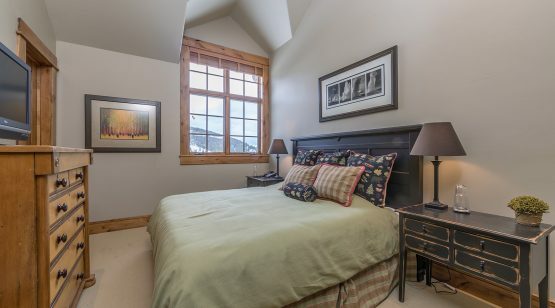 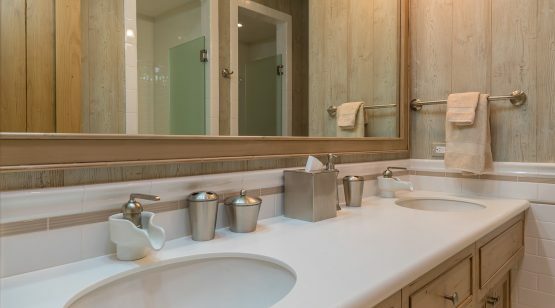 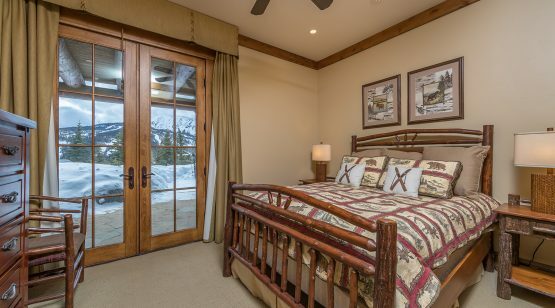 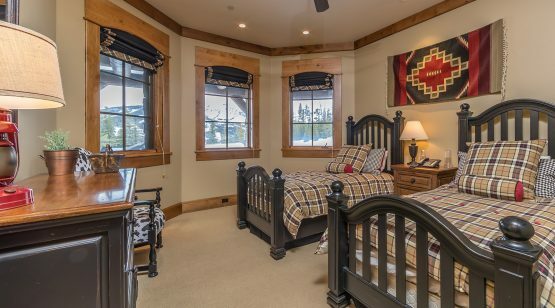 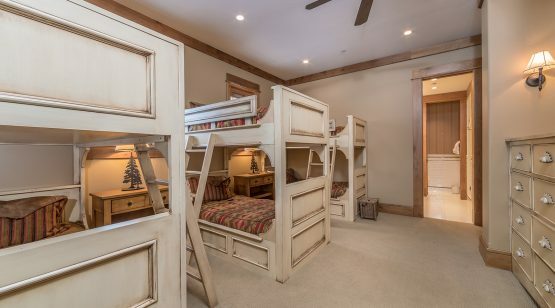 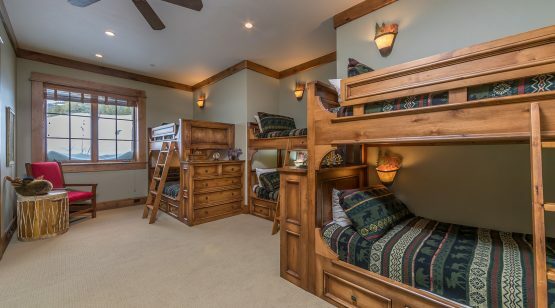 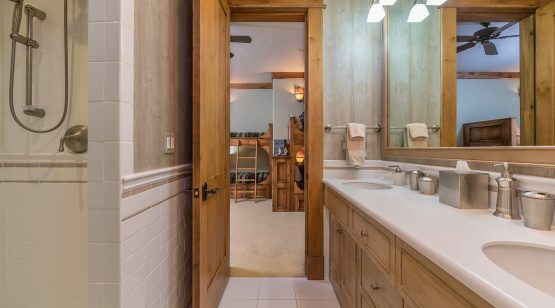 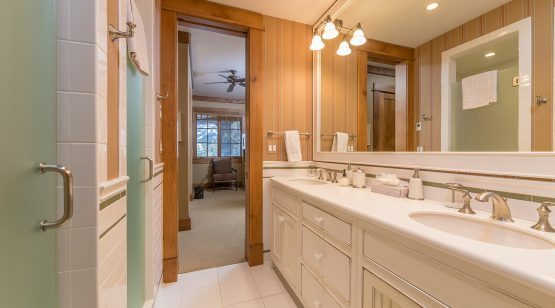 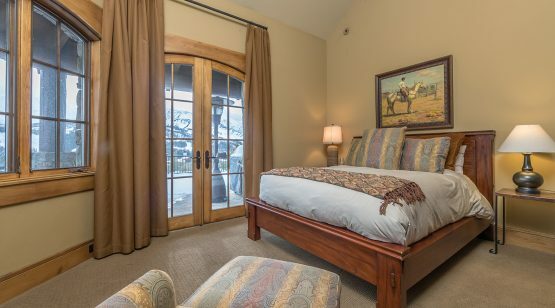 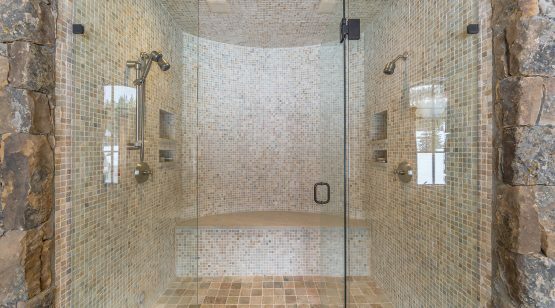 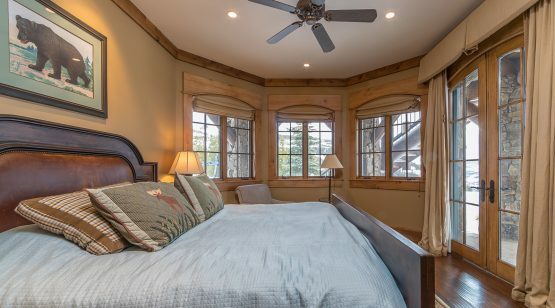 Master and guest rooms are thoughtfully designed with private bathrooms and his/her vanities; kids will love their own private wing of the home featuring a girl’s and boy’s bunk-room, complete with individual bathrooms that include two showers, two sinks, and separated toilets. 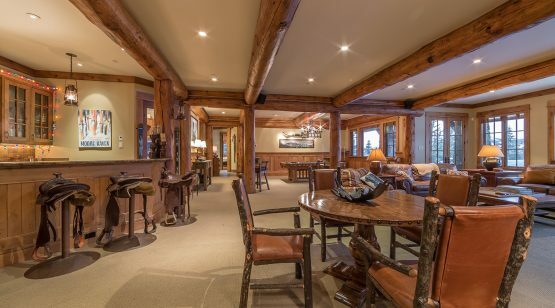 There’s something for everyone downstairs, as a game room with pool table, wet bar with saddle stools, theatre-style family room, and 400-bottle wine cellar are all featured. 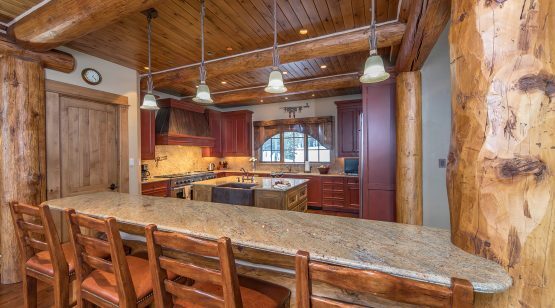 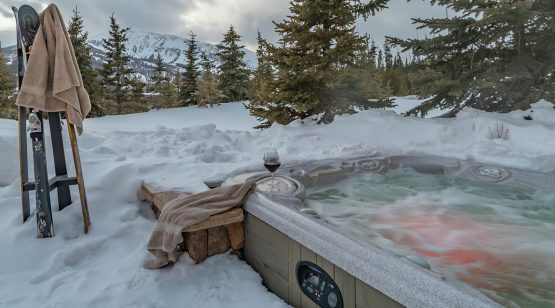 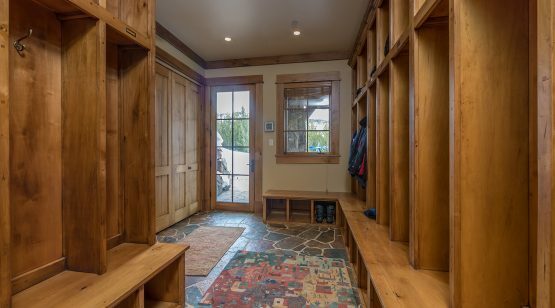 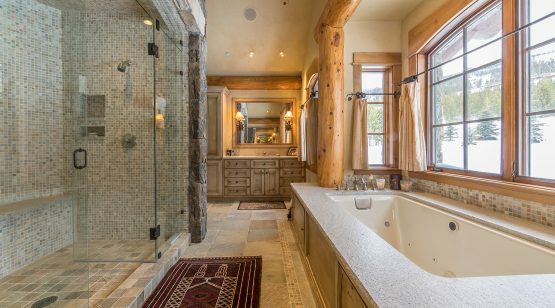 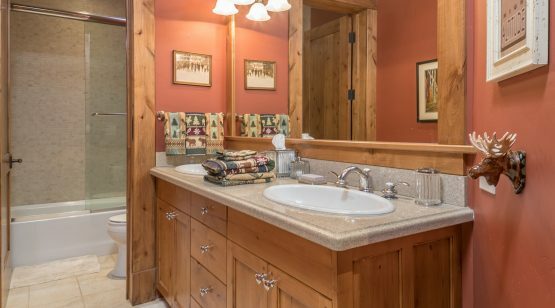 In addition, Moose Haven has a dedicated ski locker room, outdoor hot tub, fire pit, and deck space to enjoy the incredible landscape.